If you type “physical science” into your favorite search engine, you will be overwhelmed by the amount of hits listed. Many sites include adult as well as student information, lesson plans, and activities that can be used to enhance your science instruction. This list represents a few excellent sites out of the thousands available. Websites were selected by Ellen Deehan, M.S. every kind atom on the planet. A great chemistry site for kids. Interactive website for studentsdescribes each element in the periodic table. University of Colorado at Boulder website for physics students. Free information about various elements; really nice photographs! British website of the periodic table. You can click on each element to see more information! A great physics website for kids. An encyclopedia website for kids. Frankenstein's Lightning Laboratory for kids. A NASA website of satellite images of Earth. 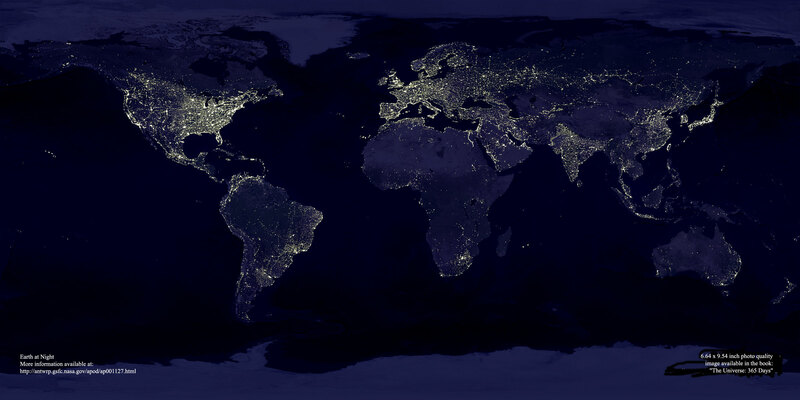 This image shows what parts of the world use the most electricity; very dramatic! K-12 Energy Education Program for students and teachers. A basic website about Chemistry.